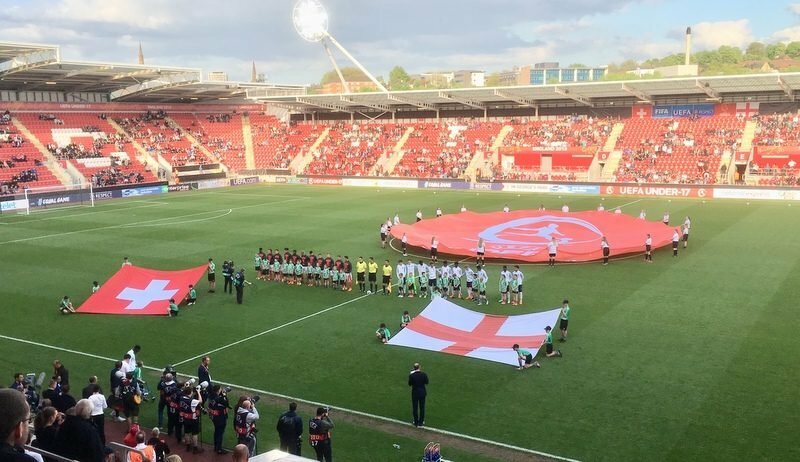 Steve Cooper’s Young Lions guaranteed themselves a quarter-final spot in the European Championships despite a 1-0 loss against Switzerland at the New York Stadium. Italy did England a huge favour by seeing off Israel in the other Group A fixture, which consequently saw the tournament hosts finish second in the standings. 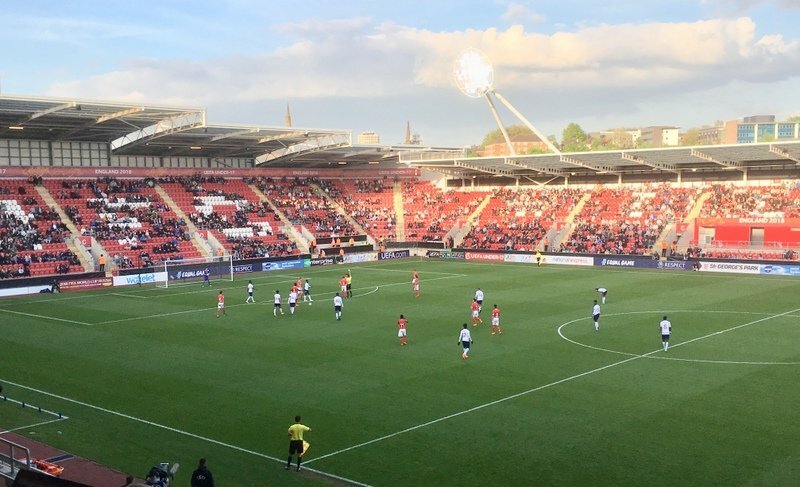 Ahead of this contest, the England Under-17s only needed a point to ensure a place in the last-eight after taking maximum points against Israel and Italy in the group stages, but they failed to capitalise on some clear cut chances throughout this tie. It was England who created the first opening of the fixture after just five minutes. 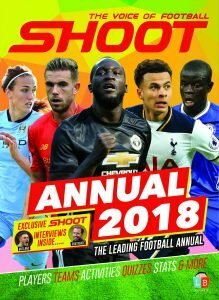 The ball was crossed in low from the left where winger Arvin Appiah was unmarked, before striking a sweet shot low and hard, however, his effort was saved by the feet of Swiss shot-stopper Lucio Soldini in the centre of the goal. Both sides began to create half chances as the contest progressed past the first quarter, although, it was England who looked the more promising. In the 27th minute, Soldini produced a speculative save with his feet once again after an attempt by Folarin Balogun from only eight yards outs. Switzerland’s first opportunity came on the counter-attack through striker Tician Tushi, who hit his effort towards the goal from an acute angle, but Luca Ashby-Hammond produced a decent save with his right-hand to push the ball away. And it was the visitors who found themselves ahead in first-half stoppage time. Switzerland took the lead when England failed to block a low cross. Left-sided attacker Felix Mambimbi took aim in the area from 15 yards and placed his shot beyond Ashby-Hammond. The referee blew his whistle only moments later for the interval. Switzerland scored at the perfect time and found themselves ahead at the break after both sides had produced some entertaining end-to-end attacks in the first period. When both teams returned for the second-half, the hosts started brightly. After a minute into the second period, Appiah scuffed an effort wide from only a few yards out when it seemed easier to score than miss, as another opportunity went begging. The Young Lions became more dominant as they pushed for an equaliser. With only twenty minutes remaining in the fixture, it was the Swiss side that began creating a few decent half chances, but to no avail. 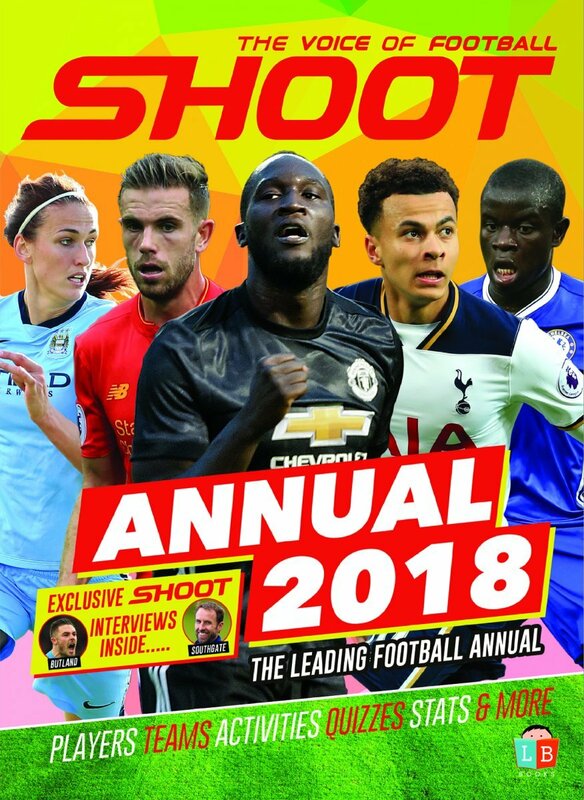 As England searched for a leveller, captain James Garner smashed an effort just wide of ‘keeper Soldini’s post from 25 yards out, it seemed like it was going to be one of those days as England once again failed to find the back of the net. Elsewhere, news rang around the ground that Italy had taken a 2-0 lead against Israel in the group’s other tie, which proposed a nail-biting last 15 minutes. Switzerland continued searching for a second goal to ensure qualification from the group and Ilan Sauter did manage to find the net, but the flag was quickly raised for offside. 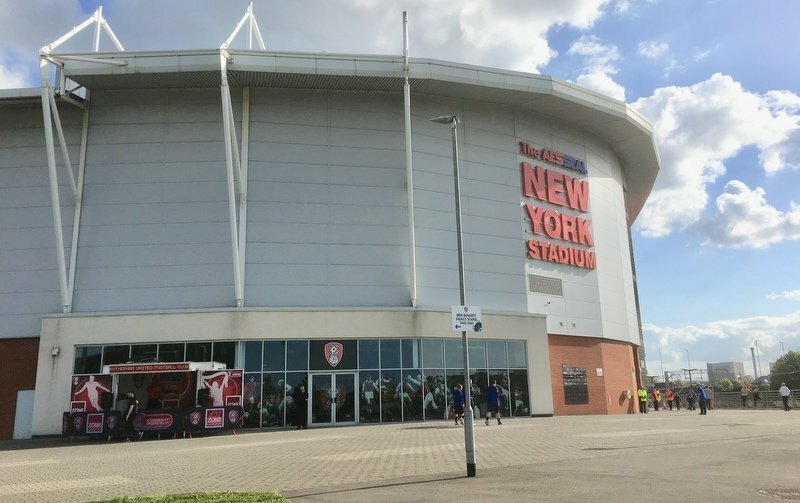 Rotherham United’s New York Stadium. The game became a bit scrappy towards the end as both sides failed to maintain any pressure. The Swiss could have snatched another goal at the depth when Jan Wornhard had an attempt saved by Ashby-Hammond, who had produced some fine saves throughout the 90 minutes. A goal here would have seen the visitors progress and only moments later the referee blew for full-time. The Switzerland players fell to their knees as reality kicked in, they were out of the competition and England found themselves in the quarter-finals after narrowly avoiding elimination. Cooper’s Young Lions will now face Norway, who were Group B winners, in Sunday’s quarter-final showdown.